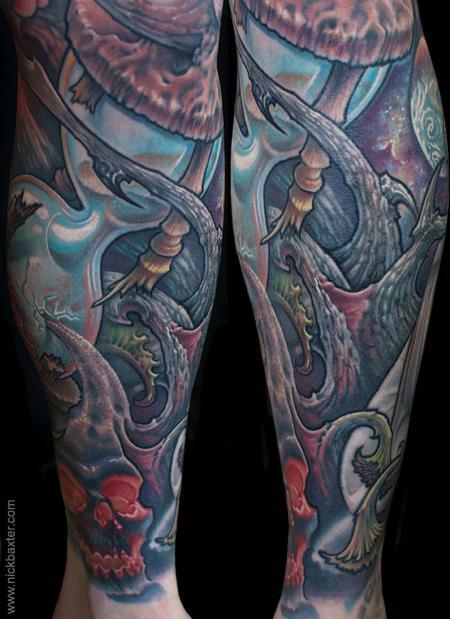 These are some close up detail shots of the time-themed leg sleeve (see next image in the gallery for the full piece). Drew wanted to finish off his leg with a theme exploring the concept of time. I suggested different ways that time is symbolized in art and science, and we ended up with a fun collage of time-related symbols...can you recognize them all?